Zechariah 14 clearly predicted the salvation of nations other than Israel! 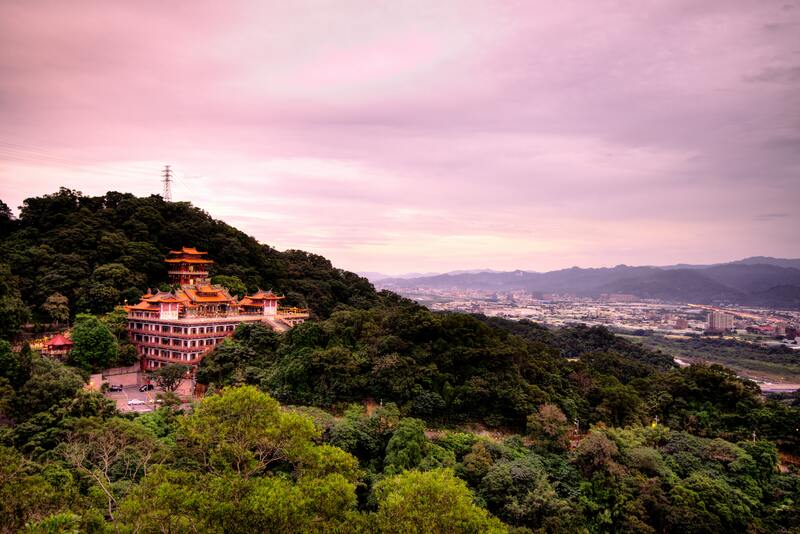 In our previous article I examined passages from Isaiah and Jeremiah that clearly foretold the salvation of nations other than, in addition to, Israel. This undeniable reality is fatal to what is known as the Israel Only false, godless doctrine, that says God never intended to save anyone but the physical lineage of Abraham. So, Isaiah and Jeremiah both contain the promises that pagan nations, non-Israelite nations, non-Abrahamic nations, would be invited into the Kingdom of God and enjoy salvation. This totally falsifies the IO paradigm. There is no escape, but, I suspect that there will be more wailing and gnashing of teeth, with declarations that “Preston does not know what he is talking about.” Stay tuned. In the next installment we will examine Zechariah 14. Behold, the day of the Lord is coming, And your spoil will be divided in your midst. For I will gather all the nations to battle against Jerusalem; The city shall be taken, The houses rifled, And the women ravished. Half of the city shall go into captivity, But the remnant of the people shall not be cut off from the city. Then the Lord will go forth And fight against those nations, As He fights in the day of battle. And in that day His feet will stand on the Mount of Olives, Which faces Jerusalem on the east. And the Mount of Olives shall be split in two, From east to west, Making a very large valley; Half of the mountain shall move toward the north And half of it toward the south. Then you shall flee through My mountain valley, For the mountain valley shall reach to Azal. Yes, you shall flee As you fled from the earthquake In the days of Uzziah king of Judah. Thus the Lord my God will come, And all the saints with You. It shall come to pass in that day That there will be no light; The lights will diminish. It shall be one day Which is known to the Lord— Neither day nor night. But at evening time it shall happen That it will be light. And in that day it shall be That living waters shall flow from Jerusalem, Half of them toward the eastern sea And half of them toward the western sea; In both summer and winter it shall occur. And the Lord shall be King over all the earth. In that day it shall be— “The Lord is one,” And His name one. ..And this shall be the plague with which the Lord will strike all the people who fought against Jerusalem: Their flesh shall dissolve while they stand on their feet, Their eyes shall dissolve in their sockets, And their tongues shall dissolve in their mouths. It shall come to pass in that day That a great panic from the Lord will be among them. Everyone will seize the hand of his neighbor, And raise his hand against his neighbor’s hand; Judah also will fight at Jerusalem. And the wealth of all the surrounding nations Shall be gathered together: Gold, silver, and apparel in great abundance. Such also shall be the plague On the horse and the mule, On the camel and the donkey, And on all the cattle that will be in those camps. So shall this plague be. And it shall come to pass that everyone who is left of all the nations which came against Jerusalem shall go up from year to year to worship the King, the Lord of hosts, and to keep the Feast of Tabernacles. And it shall be that whichever of the families of the earth do not come up to Jerusalem to worship the King, the Lord of hosts, on them there will be no rain. If the family of Egypt will not come up and enter in, they shall have no rain; they shall receive the plague with which the Lord strikes the nations who do not come up to keep the Feast of Tabernacles. This shall be the punishment of Egypt and the punishment of all the nations that do not come up to keep the Feast of Tabernacles. 1. This is a prediction of the Day of the Lord. I will not take the time or space here to document it but let it be noted that throughout the history of commentaries it is more than common to posit the fulfillment of this Day of the Lord in AD 70. See my Who Is This Babylon? for a discussion and documentation. 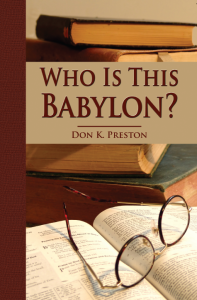 This book contains a great discussion of Zechariah 14. 2. This Day of the Lord would establish the River of Life flowing from the throne of God in the New Jerusalem. The Old Jerusalem is destroyed, but, a New Jerusalem takes its place. 3. This Day of the Lord is the Day of Salvation, the Day of Light, the Day of grace, the Day of Living Waters. 4. The Lord would punish the nations that came against Jerusalem: “And this shall be the plague with which the Lord will strike all the people who fought against Jerusalem….” Please take careful note of this. Although the Lord would punish the nations that destroyed Jerusalem, He then made another promise, and that promise is the focus of this article. The Lord said that “all the nations” would come to fight against Jerusalem. What nations came against Jerusalem in AD 70? Those “all nations” could clearly not be referring to Judah. Nor was it the ten tribes! One thing is certain: if the IO camp cannot prove beyond a doubt that the nations that came against Jerusalem in the War were, every one of them, 100% of the lineage of Abraham, then IO is dead. Completely, totally, irretrievably, D-E-A-D. This cannot be referent to the Idumeans. They were not “all the nations” that came against Jerusalem, and they were in fact a minor part of the War. The Romans, i.e. the nations, were already besieging Jerusalem when the Idumeans entered the city. But, the Idumeans soon left and the Romans finished the destruction. So, the Romans and their foreign legions began and finished the destruction. <On 14 April 70, during Passover, Titus laid siege to Jerusalem. To the northeast of the old city, on Mount Scopus, the legions XII Fulminata (a new addition from Syria) and XV Apollinaris shared a large camp; V Macedonica was camped at a short distance. When X Fretensis arrived from Syria, it occupied the Mount of Olives, in front of the Temple. The soldiers of this legion had a special incentive to fight: they had been defeated by the Zealots in 66, and wanted revenge. So, when one reads Josephus, we find that soldiers from Syria, Macedonia, from the upper Euphrates, from Arab sheiks, soldiers literally from across the Roman empire. These were not the 10 tribes. Remember that the 10 tribes were “among the Greeks” (John 7:35 – they were not the Greeks, and they were not the Scythians, and they were not the Barbarians, and they were not the other nations mentioned). In other words, the “nations” that came against Jerusalem in AD 70 were truly “pagans.” They were the “nations” that were not Israel. So, unless the IO folks can prove definitively that it was not pagans, but that it was actually Israelites and Israelites ONLY that fought against Jerusalem in the War, their view is D-E-A-D! But, they cannot prove what must be proven, thus, their entire paradigm if falsified. And there is more here. Zechariah 14 is clearly the source for Revelation 21-22 – most scholars agree with this. There, after the destruction of Jerusalem, we find the New Jerusalem, and in it is the River of Life. And notice that just as Zechariah 14 foretold, the non-Israelite nations come to the New Jerusalem for salvation! There, in the city, they find healing from the Tree of Life and they drink of the River of Life. This is salvation, for the nations, after AD 70! So, in Zechariah 14 we find the promise that at the fall of Jerusalem, the former enemies of God, the nations that fought against Jerusalem, the River of Life would flow from that New City and bring life to all those former enemies. Israel and the nations would be “one” together. And in Revelation, anticipating the imminent fulfillment of Zechariah 14, the nations of the earth enter the city built on the Apostles and Prophets of Israel, to drink of the River of Life and to find healing and salvation. Notice that all of the nations – those non-Israelite nations – would not only come to Jerusalem, but, they would come to celebrate the Feast of Tabernacles! What is the significance of this? To fully grasp this one has to realize that the Feast of Tabernacles foreshadowed the final rest, i.e, resurrection! In Revelation 21 we have the time of Judgment – which is Rosh Ha Shanah. Upon that judgment we find the resurrection, which leads us directly to: “I John, saw the holy city, New Jerusalem, coming down out of heaven from God, prepared as a bride adorned for her husband. And I heard a loud voice from heaven saying, “Behold, the tabernacle of God is with men, and He will dwell with them, and they shall be His people. God Himself will be with them and be their God.” (Revelation 21:2-3– this is Isaiah 19 and Jeremiah 12!!). It is to this city, and within this city, that the nations of the earth are invited to enter and to find healing from the Tree of Life and by drinking the Water of the River of Life– the fulfillment of Zechariah 14! The significance of all of this for the IO paradigm can hardly be over-stated. From Isaiah, to Jeremiah, to Zechariah and Revelation we learn that the nations – the non-Israelite nations- who were once the enemies of God would come to Jerusalem to know the God of Israel. They would come to worship Him. They would come to be “ONE WITH ISRAEL.” (Needless to say, this is “the mystery of God” – Jew and Gentile equality in Christ – fulfilled, just as Revelation 10:7 anticipated. This is the fullness of the Gentiles realized). They would come to celebrate Resurrection life! Keep in mind that the Israel Only camp says that no one but Israel was “spiritually dead,” and no one but Israel would receive resurrection life. But, again, from Isaiah, Jeremiah and Zechariah the pagan nations come to be known as the children of God. They become “one with Israel.” They worship and serve YHVH with Israel, and, they celebrate resurrection life! The Israel Only doctrine is D-E-A-D. So, what have we seen? We have exposed the fallacy of the IO camp in their claim that Israel was the nations and that the nations were Israel. This is a specious, un-historical, un-Biblical claim with no merit. When Israel was captured and destroyed by the Assyrians, Israel was “among the nations.” She was not the nations and the nations were not her. When she was carried off by the Babylonians, she was “among the nations.” She was not the nations. Then Peter opened his mouth and said: “In truth I perceive that God shows no partiality. But in every nation whoever fears Him and works righteousness is accepted by Him. The word which God sent to the children of Israel, preaching peace through Jesus Christ—He is Lord of all. IO says that God was (IS) in fact, still a respecter of persons, loving only Israel, saving only Israel, out of all the nations. But IO is wrong. That is a total contradiction of what Peter said. What had once been true under Torah, was now changed and changing. Just as the Torah laws concerning clean and unclean foods were being transformed, and all meats were now acceptable, Peter understood that the “nations” that were once unclean (and that most assuredly cannot be “Israel only”) were now acceptable to God, by faith. And finally, we have examined the OT prophecies of how in the last days, the former enemies of Israel, the nations who had once fought against them, would become their brethren, serving the God of Israel, wearing the name of the God of Israel, celebrating resurrection life! And the fact that the non-Israelite nations of the world could – and do!– celebrate resurrection life means without any doubt that the Israel Only doctrine is D-E-A-D! Everything that we have seen is an utter repudiation and falsification of the IO doctrine. 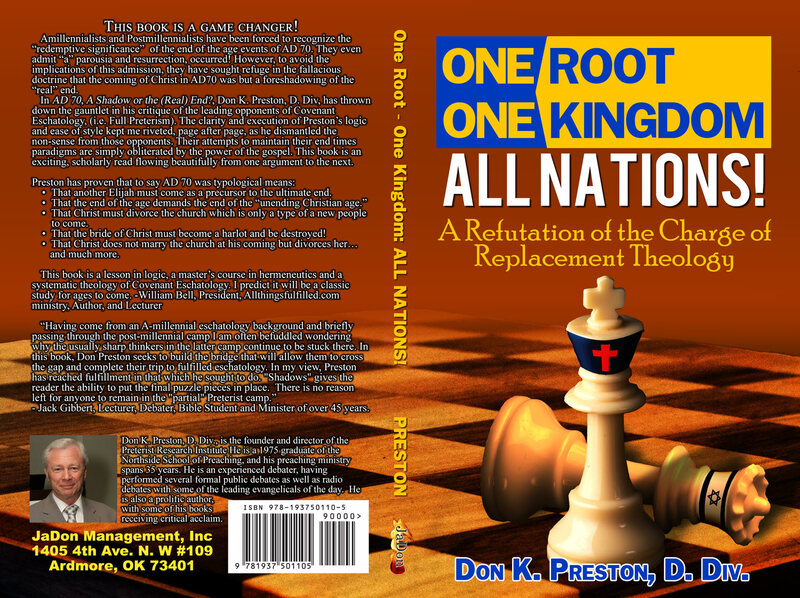 Be sure to get a copy of my book, One Root, One Kingdom: All Nations! for not only a discussion of the Replacement Doctrine, but, a refutation of the Israel Only false doctrine.